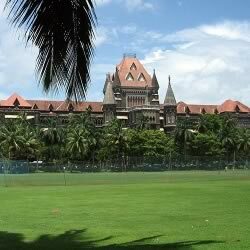 Listed below are tips for travelers, especially foreign tourist, visiting Mumbai. Public transport in Mumbai is good (but not great). Mumbai has local suburban trains, Metro trains, Monorail trains, public transport buses, black & yellow taxis, fleet taxis, radio taxis, Uber cabs, private taxis and auto rickshaws (only in the suburbs). There are two classes in the trains – First class and Second class. Single Second class ticket is cheap, but the single First class ticket is expensive. During rush hour both classes are crowded and there is hardly any difference between First and Second class. Take the Second Class ticket and save money. Passengers are tightly packed in the train during Rush Hour. It is impossible to escape being pushed, pulled and squeezed during Rush Hour. Be prepared, be patient with your fellow passengers and always keep your cool. Be aware on which side (left or right) is your destination platform. During rush hour, you may have to start moving towards the exit at least 2 stations before arrival. Keep expensive belongings and wallet in a safe place. Pick pockets are not uncommon and they work in gangs. Train compartments are classified as “Women”, “General” and “Handicapped”. Women can travel in the General compartment, but it is advisable for WOMEN NOT TO TRAVEL IN THE GENERAL COMPARTMENT DURING RUSH HOUR because there is barely standing space. Sadly not all railway stations are wheel chair friendly. Ticket Collectors in Mumbai are strict. Ensure that you have a valid ticket when you travel. Do not attempt to bribe the ticket collector. Travel has to start within one hour of purchase of ticket. In case you need to come back to the same station, purchase a return ticket so that you do not waste time at the ticket counter. In case you plan to use the local trains for 3-4 days, you may want to purchase a monthly pass, which works out to be very cost effective. Many passengers stand at the exit edge and hang out from the train. 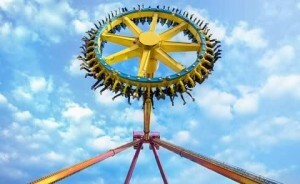 Standing at the exit and maintaining one’s balance at high speed is far more difficult than it looks. DO NOT STAND AT THE EXIT in a moving train. DO NOT STAND AT THE EDGE OF THE PLATFORM. You can get knocked down by a train. DO NOT CROSS THE RAILWAY TRACKS. On an average 4-5 people die in railway accidents EVERYDAY. Be careful. FAST trains stop on certain select stops. The Railway Map image, shows Stations where FAST trains stop. Please refer to the display on the platform to check whether the train stops at your station. On the bigger stations, there are separate platforms for FAST and SLOW trains. Currently there are three local train lines which are listed below. There are three more under construction, but they are not yet operational. Please refer to the Railway Map image for stations on each railway line alone with their distance from the starting point. 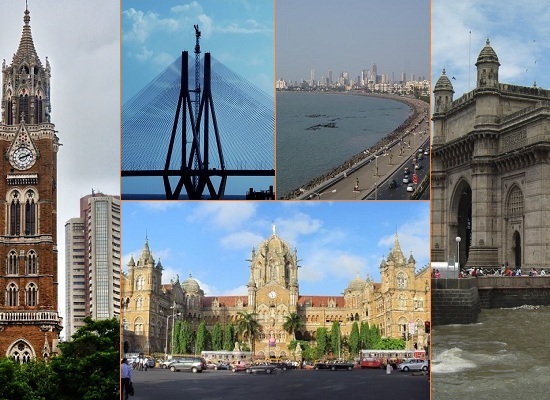 Mumbai also has a Metro Train from Versova to Ghatkopar and a Monorail in the East of Mumbai. This is a North-South line from Churchgate to Virar, which traverses the western part of Mumbai. Morning rush hour is South bound from Virar (North) towards Churchgate (South). Evening rush hour is North bound from Churchgate (South) towards Virar (North). DO NOT ATTEMPT TO TRAVEL AT THESE TIMES IN THESE DIRECTIONS. 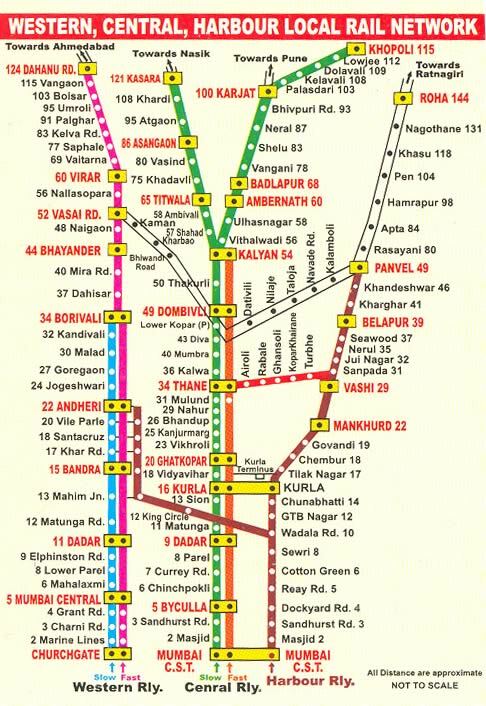 This is a North-South line from VT (Victoria Terminus, also known as Chatrapati Shivagi Terminus, CST) to Karjat-Khapoli and Kasara. This line travels through the central and north-east parts of Mumbai until Kalyan and from there it bifurcates to Kasara in the North East and Karjat in the East. Morning rush hour is South bound from Kasara (North-East) and Karjat (East) towards VT (South). Evening rush hour is North bound from VT (South). DO NOT ATTEMPT TO TRAVEL AT THESE TIMES IN THESE DIRECTIONS. The Harbour line links Mumbai to New Mumbai. This line starts from VT (Victoria Terminus, also known as Chatrapati Shivagi Terminus, CST) and forms a “U” until Uran in the South East. Starting from VT, trains travel north until Kurla, which is in the center of Bombay, and then turns East across the sea to Vashi and then south to Uran. As with the other lines, morning rush hour is South bound from New Mumbai to VT (South). Evening rush hour is in the opposite direction from VT (South) to New Mumbai. DO NOT ATTEMPT TO TRAVEL AT THESE TIMES IN THESE DIRECTIONS. Latest Mumbai Suburban Local Train Ticket Cost. These taxis are visible all over town and can be hailed anywhere. These taxis have a FIXED RATE /TARIFF CARD which all cab drivers have to carry. Make sure that the driver resets the taxi meter in front of you. In theory, these taxis cannot refuse to take passengers, but sometimes they to tend to refuse. In such situations, ignore the cabbie and look for another cab. It advisable to have a general idea of how far you have to travel, so that the cabbie does not take you all over town. Tipping is not required or expected. A tip is a bonus and 5% is considered adequate. Condition of these taxis varies from poor to average. Similar to the Black and Yellow taxis, light blue and white air-conditioned taxis are also available. At the airport or railway station, it is advisable to book a PRE-PAID TAXI. There is an extra charge for luggage. This amount is fixed. Some bright cabbie may try to extract extra cash for luggage; it is advisable to check before the journey whether there is a charge for luggage. As in most other parts of the world, there will always be some cab drivers who will try to fleece tourist. If you think you have encountered one of these bad apples, you may want to talk to a traffic policeman for advice and help. The good news is that as compared to other Indian cities, Mumbai cabs are more disciplined and better regulated. Latest Mumbai Black and Yellow Taxi Fare Meter Card. Please refer to this link on details of Mumbai’s private fleet taxis. These taxis have to be called for. These taxis have taxi meters in them and they follow a FIXED RATE /TARIFF CARD. Although they are a little more expensive than the Black and Yellow cabs, the quality of cars is much better. You may need to book a cab 1 hour in advance since they tend to be in demand. These cabs are also air-conditioned, which is big plus in the summers. These are taxis that are run by individuals and small businesses. These taxis cannot be flagged on the road. These taxis are popular for inter-city travel, which the above two taxis are not allowed to do. To book these taxis refer to the internet or yellow pages or hotel travel desk. These taxis can be distinguished by the letter “T” in a circle and yellow colored number plates. There are no meters in these taxis. These taxis charge per kilometer and the client has to pay for a minimum number of kilometers. How much you pay can sometimes depend on your bargaining skills. Both air-conditioned and non-air-conditioned taxis are available. Taxis can range from a beat up Tata Indigo hatchback to a high end Audi or Mercedes. The better organized taxi services provide clean cars with chauffeurs in uniforms. Uber has been offering cab services in Mumbai since 2014. These are 3 wheel rickshaws which are black and yellow. Auto rickshaws have a FIXED RATE /TARIFF CARD which all cab drivers have to carry. Follow the same precautions as a Black and Yellow Taxi. Auto rickshaws ply only in the suburbs (north of Mahim and north of Sion). They are cheaper than the other taxis. Latest Mumbai Auto-Rickshaw Fare Card. Drink Only BOTTLED MINERAL WATER. Foreigners should forget about drinking water that does not come from a bottle. Mumbai has a rich tradition of street food. Unfortunately food prepared by street vendors is not very hygienic. If you are not used to Indian street food (especially foreigners), DO NOT EAT STREET FOOD. Restaurants are classified as Class I or II based on factors such as hygiene, infrastructure, etc. It is easy to guess the classification of a restaurant by looking at it. Good Class I restaurants usually have clean kitchens and their food is prepared in hygienic conditions. Although international cuisine, like Japanese, Thai, Italian, French, Greek, American Fast Food, etc, is available in Mumbai, it is available at very expensive restaurants. On the other hand, international fast food chains can be found all over town. The fare at these restaurants is competitive. Some of the common fast food chains are McDonald’s, KFC, Pizza Hut, Dominos, Subway, and TGIF. Since Mumbai (and India) has large population of Hindus and Muslims, many restaurants do not serve beef and pork. North Indian cuisine has been deeply influenced by Middle East cuisine. Travelers from the Middle East will be familiar with North Indian cuisine. Chinese food is very popular in India, but note that Chinese food in India is an Indianized version of Chinese food. Most Chinese chefs would find it difficult to classify “Indian Chinese” food as authentic Chinese food. Indian food is usually spicy. Not just chilies, but spices such as cumin, coriander, turmeric, mustard, cardamom, pepper, clove, etc, are liberally used in Indian cooking. Drinking of alcohol is not allowed in the streets. Alcohol can only be consumed at home or in a bar. Minimum age for consuming alcohol is 21 years, though the local government is trying to raise this to 25 years. Unless it is a high end bar or a bar in a 5 star hotel, WOMEN SHOULD NOT GO TO THE BAR ALONE. There is no shortage of stupid men who think a single woman in a bar is fair game. You are expected to tip at a restaurant, but not at a self service restaurant. Tip should range from a minimum of 5% to 10%. As in any other country, tips are an important part of the restaurant staff’s income. Most class 1 restaurants and international food chains accept credit cards, including international cards. Mastercard and Visa are very popular in Mumbai (and India). Some places are reluctant to accept American Express because of the high service establishment commission they charge. 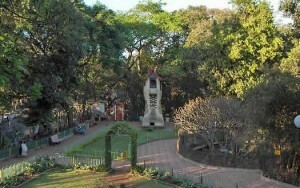 Starting from March, the seasons in Mumbai can be classified as follows – Summer (March to mid-June), Monsoon (mid-June to August), Summer again (September to early November), Autumn (start of November to end November), mild Winter (December to early February), Spring (start of February to end February). From March to mid-June the maximum day time temperature ranges from 35 C (95 F) to 42 C (107 F). Light cotton clothes are preferable over synthetic (nylon, polyester) clothes. Since Mumbai is an island, during the summer and monsoon seasons, the humidity levels are high. As a result people in Mumbai sweat a lot. Ensure that you consume adequate liquids to keep yourself hydrated. The monsoon rains hit Mumbai from mid June to late August. July experiences the heaviest rains. Mumbai residents tend to fall ill during the monsoons and when the seasons change. Be aware and take adequate precaution. Even though there are parts of Mumbai where real estate cost is more expensive than in major cities in the west, India is a developing third world country. Over 25% of Indians live under the poverty line. Over 45% of Mumbai lives in the slums. The slums are typically shanties with poor infrastructure, narrow lanes, poor sanitation, shared toilets, inadequate garbage disposal and large masses of people living in very cramped conditions. Spitting and throwing of garbage on the streets is a common phenomenon, even among educated middle class residents. Garbage bins are not a common site partly because they are a security risk and partly because scavengers sell them off. Beggars can be found all over the city, although their numbers seem to have reduced over the years. As with most third world countries, expect to be approached by beggars. Foreign tourists attract them like magnets. Many of the beggars do come from difficult backgrounds. Politely refuse the beggars with “No Change – Sorry”. Be prepared to be swamped by beggars who will be persistent. Street vendors and hawkers are also attracted towards tourist like magnet (especially foreign tourist). It is common to be pestered by these vendors who will quote a price which is 2-3 times what they are ready to sell their product at. Again be polite in your refusal and expect the vendors to keep persisting.